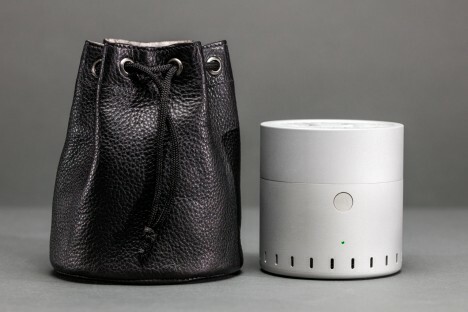 A Harvard professor and serial entrepreneur has released his latest invention, a device that digitally records and then emits individual and combined scents for human users to smell. 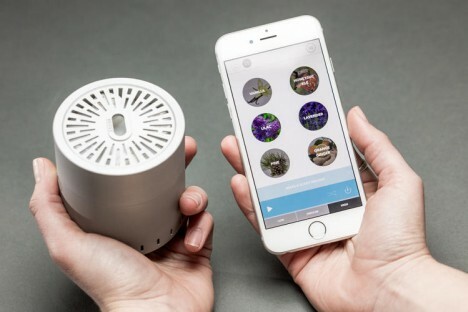 David Edwards of Vapor Communications has been digitizing all kinds of smells for his growing collection, hoping to commercialize odors through his evolving inventions. Cyrano, his latest creation, is able to produce 12 distinct smells, but these can also be endlessly remixed and played sequentially, like a composer might with overlapping or ordered musical instrument tracks. The tracks are organized by type: energizing, relaxing or escapist. One could, for instance, select an escapist mix of guava, coconut and suntan lotion, or pep up with orange, ginger and peppermint combinations. People can, of course, also share their favorite playlists on social media. Refillable cartridges, like you might find in a printer or vaporizer, let you refresh scents you are running low on. His argument is simple: smell is one of our most powerful senses from an emotional perspective, and it makes sense to pair plays of smells along with visual and auditory experiences (like movies, television and music). 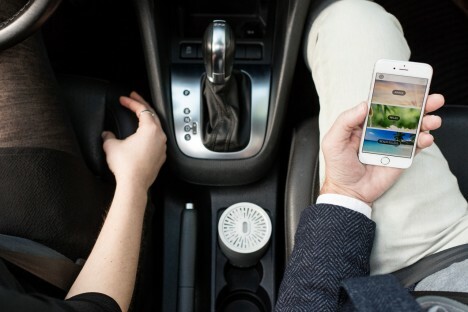 There could even be health and safety applications, like keeping drowsy drivers awake at the wheel. Users can continue to remix their collections to avoid olfactory fatigue. The current device is being created in a run of 500 and priced at $150. See more in Various Gizmos or under Gadgets. May, 2016.